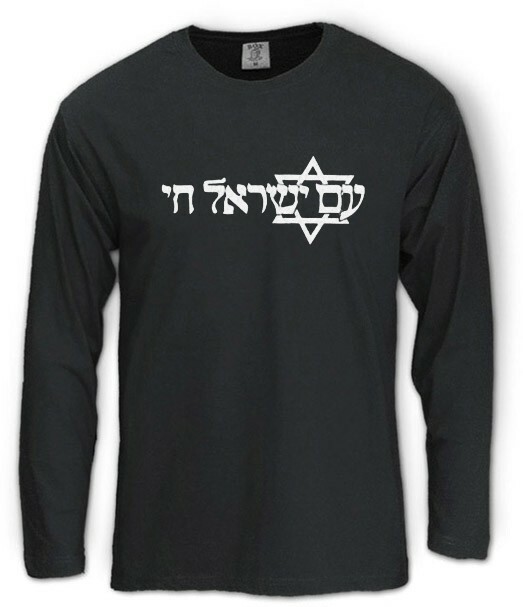 A true Zionist shirt, made of High-Quality cotton, and printed with the powerful quote: "Am Israel Chai", "The Nation of Israel Lives", the most inspiring saying for every Jew. Elegantly designed displaying the Star of David. Our t-shirts are made of 100% cotton and are long lasting with bright colors. Our products are all designed and printed in Israel.